On December 16, Hometown Christmas is the latest Lifetime holiday movie set to debut at 8 PM. Back in Louisiana for Christmas, Noelle Collins (Beverley Mitchell) has big plans to resurrect the town’s live nativity, a beloved tradition that her late mother used to put on. 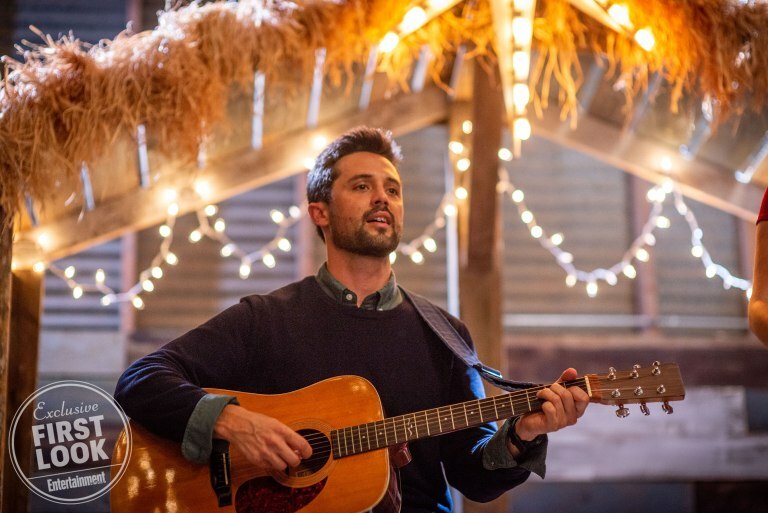 Things become complicated, however, when Noelle runs into her high school sweetheart, Nick Russell (Stephen Colletti), a rising baseball star also back home due to a recent injury. Still feeling the burn from their senior year break-up, their lives are pushed together even further when they learn their parents share an attraction and want to be more than just friends. When things begin to fall apart with the live nativity Nick and Noelle reluctantly team up to pull off the show and find themselves growing close, uncovering a hometown love for each other and the joy of Christmas that both never really faded away. The movie also stars Melissa Gilbert and Brian McNamara.